Staff at JK Lon Maternal and Child Care Hospital participate in Jhpiego’s clinical standardization training with positive results. Kota, India, January 2014—When Dr. Rajendra Prasad Rawat, the 55-year-old Medical Superintendent and Head of Obstetrics and Gynecology at Kota’s JK Lon Maternal and Child Care Hospital, first attended Jhpiego’s Clinical Skills Standardization (CSS) training course in November 2013, he immediately saw the potential it had to improve the functioning and quality of the hospital’s busy labor room. After the course, Dr. Rawat took steps to ensure that CSS training became institutionalized at his facility, scheduling it to take place on the second Saturday of every month. This decision is already showing results. “Just two days back, a woman named Mithilesh Kumari arrived at the labor room in full dilatation,” recalls Dr. Khushboo Jain, a postgraduate medical student doing her residency in JK Lon Hospital. “She was having her fifth child but the baby was not descending. But, as we were plotting the partograph, we could track the progress of labor closely. After the baby came, we suspected that she might start hemorrhaging, but after our recent CSS training in which we learned the active management of the third stage of labor, and with the help of the checklist, we managed this complicated case confidently.” In addition, the labor room at the hospital was recently honored by the local medical college administration with a certification for its cleanliness and maintenance. The JK Lon Maternal and Child Care Hospital is the largest government-run public health facility in Rajasthan, with 425 beds and 13,000 women delivering there each year. The city of Kota lies in the southeastern part of Rajasthan—one of the empowered action group states of India—and has health indicators much poorer than the national average. Rajasthan’s maternal and infant mortality are among the highest in the country, at 255 per 100,000 live births and 49 per 1,000 live births respectively, which makes efforts to improve the quality of services in this state’s public health facilities, especially in the labor rooms, all the more urgent. It is here that many of the leading causes of maternal mortality—postpartum hemorrhage, sepsis, hypertensive disorder and obstructed labor—can be addressed and the lives of thousands of mothers and infants can be saved. Jhpiego, with support from the Norway India Partnership Initiative and in close collaboration with the Government of Rajasthan, has been working to strengthen the delivery of postpartum family planning services, strengthen pre-service education for nurses and midwives and improve the quality of maternal and child health services in the state. 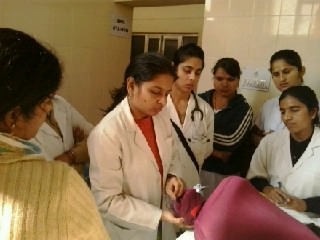 An integral part of Jhpiego’s work in pre-service education is to ensure that facilities where nursing students go for their clinical practice follow the Government of India’s recommended protocols so the students observe and practice clinical skills in accordance with what has been taught at their institutes’ skills labs. This is one of the key purposes of the CSS training, standardizing key maternal and neonatal health procedures at all public health facilities’ labor rooms as per Skilled Birth Attendance Guidelines. The CSS is an intensive, two-day training course conducted at the facility. 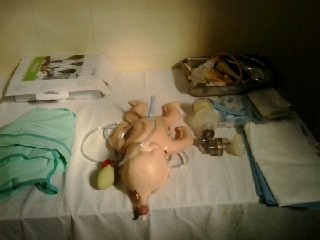 It covers all critical procedures to be followed in labor rooms, including plotting partographs, implementing infection prevention procedures, managing pre-eclampsia/eclampsia, carrying out active management of the third stage of labor, managing postpartum hemorrhage and providing family planning counseling. Jhpiego conducted the first CSS training at JK Lon Maternal and Child Care Hospital in November 2013, preparing eight clinical care providers who now train nursing students and in-service staff of the obstetrics and gynecology department. A “skills corner” adjacent to the labor room was also established, featuring MamaNatalie® and NeoNatalie® simulators to give providers opportunities to brush up on the skills they’ve learned, and detailed checklists outlining the key clinical skills covered during the training. The hospital’s success in strengthening the knowledge and skills of its providers, who in turn help mothers and newborns receive high-quality care in those critical hours in the labor room, is a testament to the way strong leadership, like that of Dr. Rawat, as well as ownership of a program, can lead to sustainable improvement and save many precious lives. The empowered action group states are eight states with poor socioeconomic and health indicators.